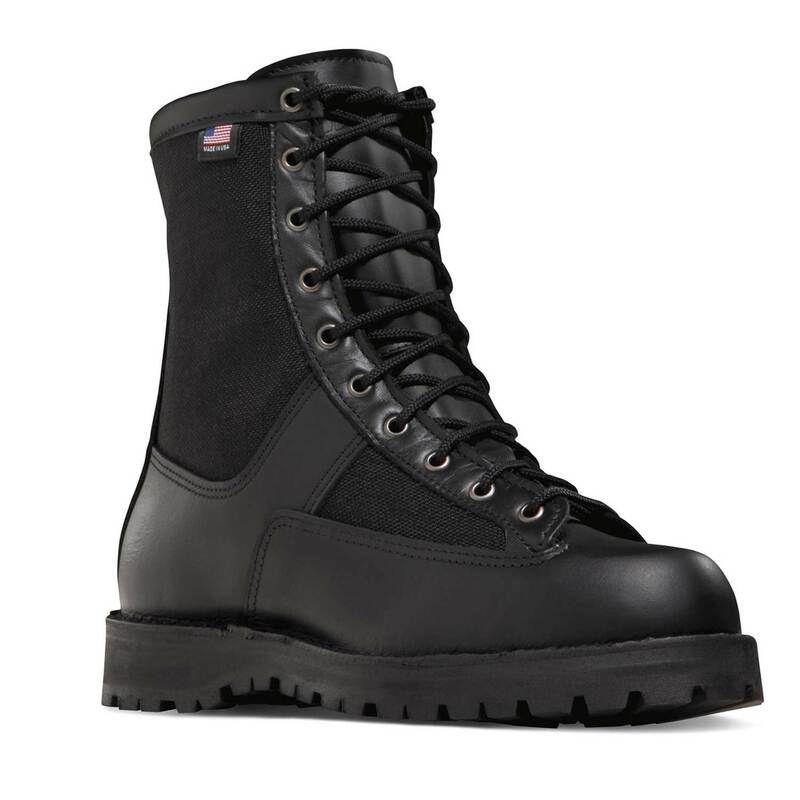 Made in the USA, the Acadia features Danners famous stitchdown construction, providing a more stable platform underfoot and superior durability. This boot has a waterproof, breathable GORE-TEX lining and a combination upper of 1000 Denier nylon and full-grain leather. The Vibram Kletterlift outsole provides superior shock absorption and great traction on both wet and dry surfaces. Features 400G Thinsulate Ultra Insulation. FULL-GRAIN POLISHABLE LEATHER & 1000 DENIER NYLON UPPER: To reduce the weight of the boot, we combine our smooth, full-grain leather with incredibly strong 1000 Denier nylon. This durable upper is completely polishable. GORE-TEX (GTX): 100% waterproof and breathable, GORE-TEX liners ensure that no water gets in, while allowing sweat and moisture to get out. 400G THINSULATE ULTRA INSULATION: High-performance insulation that keeps you warm in the snow and rain without weighing you down. VIBRAM. KLETTERLIFT OUTSOLE: Specifically designed for comfort and durability; the heel provides superb shock absorption and the rubber compound guarantees great traction and stability on both wet and dry surfaces. HOW IT FITS: The 650 last offers a sleek, slender profile with a more narrow fit. Boots on this last tend to fit those with a more narrow foot better than those with a wider foot. This ensures a snug fit for terrain and activities that demand support and stability. If you do have a wider foot, we recommend ordering an "EE" (wide) in this style. Please note this last fits slightly long and we recommend sizing down a half size for best fit. RECRAFTABLE: Extend the life of your boot with our recrafting services. This boot is eligible for a number of services, including part replacement, leather care and restitching. See our Recrafting page.